I may have cheated with these photos (even though I did wear this dress earlier in the week), as my hair has faded and grown a lot since these were taken. Oh wellz. Primark strikes again with this midnight blue number. It's got a sheer overlay that's pleated, and an elasticated waist to add definition yet doesn't get rid of comfort. I'm only comfortable wearing this with leggings though. It does have a tendency to ride up a little bit, as the underlay skirt is quite fitted. 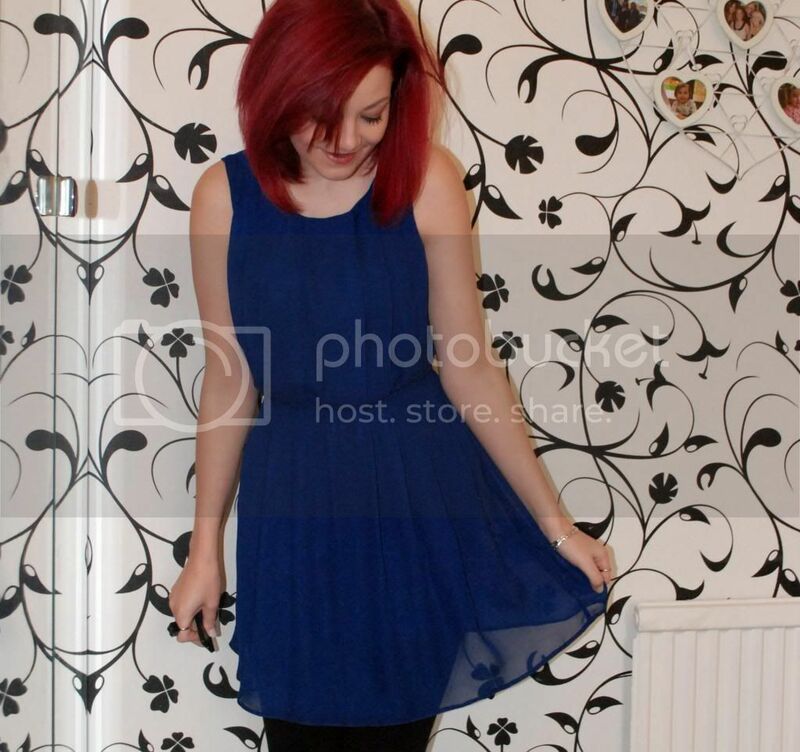 I wish Primark offered this dress in different colours though, as it would be very useful to stock up on! I really miss blogging lately, but I just don't seem to have any spare time to do it! I think the weather over the last week hasn't helped either... I'm currently living in jeans, jumpers and Ugg(ly) boots. Not exactly great outfits, but necessary for the time-being. I do have some blog posts lined up though (once I've finished writing them), so hopefully the blogging routine will be back to normal shortly! Gorgeous dress, and it does look lovely and comfy.